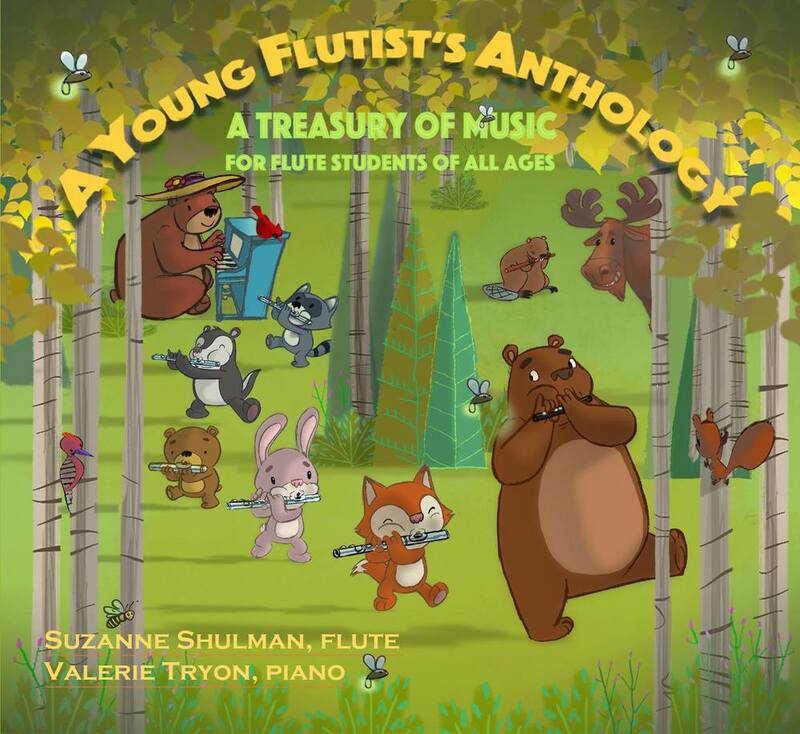 We are proud to present this high-fidelity recording for flute students and flute lovers of all ages. Now available for immediate download, the album features little-recorded repertoire for the beginner flutist as well as intermediate and advanced pieces for inspiration and enjoyment. The eminent Canadian flutist Suzanne Shulman is joined at the piano by her long-time friend and colleague Valerie Tryon. Tracks include such early pieces as Go Tell Aunt Rhody, Long Long Ago, and Schubert’s Wiegenlied (Lullaby), as well as intermediate showpieces such as Pessard’s Andalouse and the rarely recorded Bergamask by Koepke, and repertoire standards Syrinx (Debussy) and Danse de la Chèvre (Honegger). As Ms. Shulman studied these works in France with Marcel Moyse, Michel Debost, Jean-Pierre Rampal and Christian Lardé at the beginning of her career, this CD is an exciting addition to the recorded canon of these works. The CD also includes the first recordings of several pedagogical arrangements by the noted teacher and composer Noelle Perrin (New Jersey). Teachers and students will enjoy her creative combinations of early pieces with well-known classical themes. On this recording, we are featuring Mary’s Simple Gifts, The Flight of the Honeybee, Mahler’s Fireflies, and Gymnopédie Cuckoo. Additional flute lines provided by David Gerry and Kelly Williamson, co-directors of the CD. The CD is being produced and engineered by Kirk Starkey. It was made possible by the generous support of flute teachers and students from around the globe, and with the assistance of Chicago teacher Meret Bitticks. Our light-hearted and colourful cover art was created by artist and musician Jonathan Royce. To order a physical CD, please contact us here.